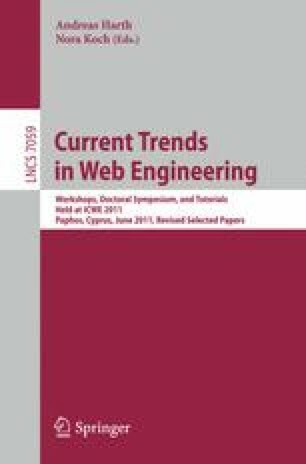 This paper discusses a methodological approach to define quality models (QM) for Web sites of any kind, including Web 2.0 sites. The approach stresses the practical use of a QM, in requirement definition and quality assessment, during design & development processes or during site operation. An important requirement for such QMs is organization mapping, which allows who is in charge of quality management to easily identify the actors in the organization responsible for implementing or improving each specific quality characteristic. A family of QMs is proposed and compared with ISO/IEC 25010 QMs for software products and software-intensive computer systems.